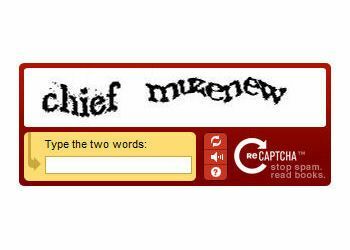 Are you using a captcha on your web form to try to keep spam at bay? While that may be beneficial to keep spam away, do you know what kind of damage you are doing to your conversions? Even web-savvy young people are annoyed at captchas because they keep retrying, and many users on the internet who fill out your forms have basic computer skills and have a higher chance of just dropping from your website and not returning. If you are looking for a solution to using Captcha, XVerify can be a good answer. Because we verify your user data such as the email address, phone number, and physical address we are eliminating junk or spam data from entering your database. If the information a user enters is incorrect or the user makes a typo by mistake, we will display an error message which will give the user an opportunity to make the correction. We also have built in protection where if a user enters too many failed attempts we can block that specific user by their IP address for a specified amount of time. This will prevent spam bots from trying to attack your website with malicious data. Interested in learning more about what XVerify can do? Setup a demonstration by calling 1-866-903-9164 or submitting an inquiry via our website. We do offer free trials, and help you get integrated, so don’t delay call today!